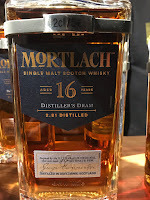 For reasons explained here, Mortlach is awesome. A brand not without its up and downs though, having been a great (perhaps the best) Flora & Fauna, discontinued into a 50cl ultra premium (read expensive) range and now the backtrack! Diageo actually listened. LISTENED! To us! The multitude. About a whisky. Amazing. Anyway, since their ultra premium stuff didn’t sell very well, they’ve brought back the 16 with a vengeance. 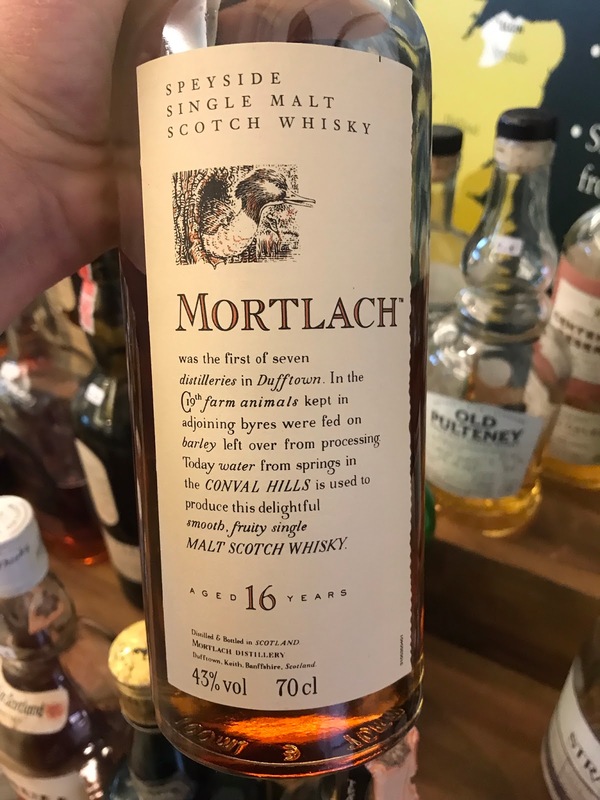 I got a chance to try it yesterday and realised I’ve got a whole flight of Mortlach’s I’ve tried recently, including the F&F. So we’ve got quite the selection today. Nose: Oooooooh, Sherry, dense and rich. Slightly earthy malt, resinous oils, dry oak, raisin and fig, orange, I can't find any meatiness here, coffee beans, dark tobacco and leather. Great complex nose with some old Balvenie characteristics. Taste: Thick, oily and resinous, a little flat here to start (very minor), great dark oak, tingling spice, dark chocolate, raisins, sweetness, syrupy Sherry, leathery and dried fig and prune and date, some orange here too. Finish: Long length. Thick, oily and dark. More dark chocolate, resin and wood polish, antique furniture. Amazing finish. 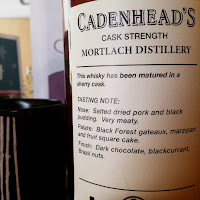 Nose: Deep and heavy, Sherry influence but still fresh, red apple, meaty malt, cranberry, coriander spice, cherry, quite complex, powerful nose despite the abv. The floral geranium comes out after a bit with soft milk chocolate. Taste: Sweet hit then nosedives in power, slowly comes back with dry oak, geranium, orange, some Sherry, malt and oils coming in later, ginger and black pepper spice. Finish: Short/Medium length. Again lacking power here, soft florals, chocolate and some malt. Why?! Why wasn't this bottled at 48% and in a normal bottle and reasonable price? Actually keep your crazy price, at least a higher strength… Lovely Mortlachian nose but the rest is disappointing. Opens up well though, give it time. Nose: Fresh Sherry and meaty dense spirit. Red apple and dark chocolate, a subtle touch of sulphur- struck match, raisin, some cherry. Develops more meat! Haggis! Black pudding! Dried earth. Taste: Soft, clean arrival, lacking power for a short moment before oily red apple comes in, raisin, meaty Sherry, malt, dark chocolate and heather into the finish. Finish: Medium/Long length. Oily chocolate, some nice oak comes in with leather. Nicely balanced here. Ballsy move from Diageo to bring this back out. Even better that the quality is high. Impressive. Let’s go onto some new indies because they’re always great too! Nose: Fresh blood and fresh paint! Woah. Under that there's fruit with red apple and orange. Old style Mortlach with leather, musky, expensive praline chocolates, really wonderful nose. Taste: Sweet! Much sweeter than I was expecting. Orange, malt, cherry, chocolate, awesome meaty prune and fig, sweet oak, Sherry, expensive dark chocolate. A little too woody as it develops. Finish: Long length. Oak and chocolate, dusty chocolate and, weirdly, wood experiment wood from unseasoned oak. 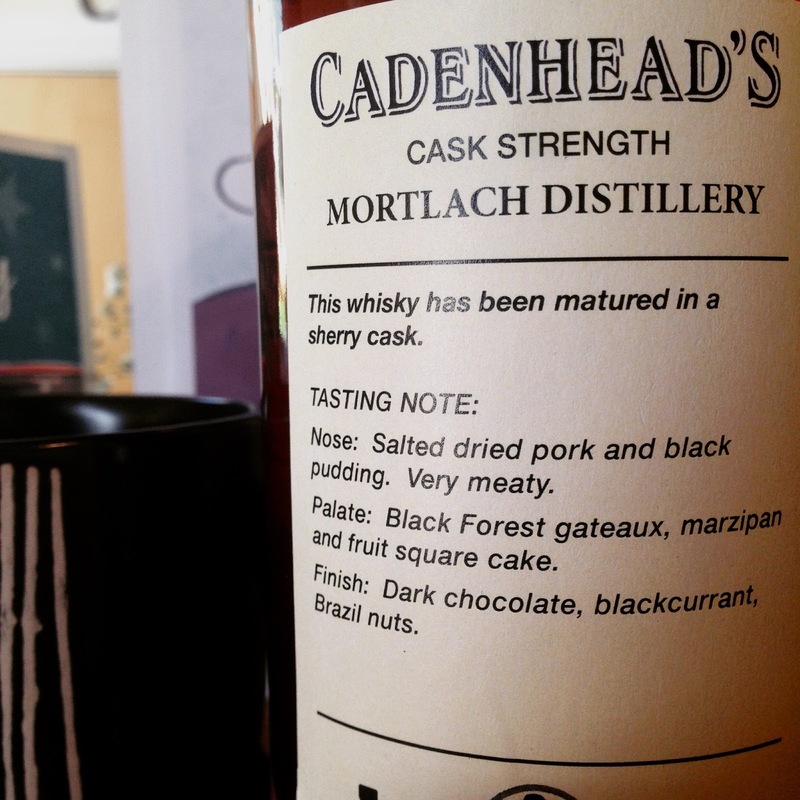 Sherry cask. Amazing nose but the late development and finish don't live up to it. Still Mortlach and Sherry don't often go wrong, although the price on this one is pretty damn high. Nose: Ethereal and punchy at first nosing. Then more meaty as it gets going. 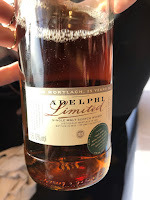 Plum and apricot fresh fruit, black pepper, fried black pudding, maple cured bacon, icing sugar, the sweet and savoury notes are really well balanced and melding together. Those Canadian maple biscuits that smell woody and sweet and delicious. Resin and leather developing, develops really well actually. WOAHOHO, what the hell has happened now?! Coming back after a minute there's a white vinegar note like an over-aged white wine, also soy sauce and petrol-y fumes. AMAZING and complex and delicious. Incredible nose. Taste: Really soft arrival, very very balanced, fresh and citrus arrival then big punchy fresh fruit, dried apricot and peach, golden raisin, thick oily malt, maple syrup, some bacon, but more savoury into the finish. Finish: Long length. Drying, more savoury then spicy and woody, bacon and black pepper, a lasting ginger tingle. Sherry cask, 29yo. 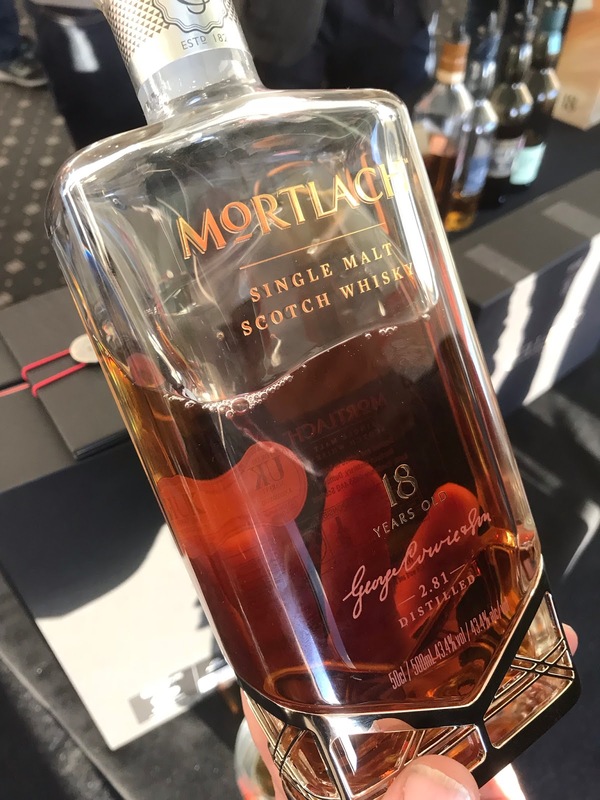 A technically flawless whisky. Awesome and fun. And an actually reasonable price! Was lucky enough to get one of these for my birthday this year.